The Rising Popularity Of Retouched Wedding Photos! IT SOUNDS cliched, but my wedding day was the best day of my life. It wasn’t perfect, but its quirks and imperfections made it perfect to my husband and me. I remember that I woke up with a blemish on my cheek, which to my relief was seamlessly covered up by my makeup artist. We had planned a garden wedding, but it rained all day, stopping just an hour before the ceremony. The grass was squelchy underfoot, but I hardly noticed. My husband and I chose a photographer with a great reputation and planned out the poses and props we wanted to use (blackboards, bicycles and even a soccer ball for my football crazy husband). We knew we’d love the photos. But when we received our photographs back, we were disappointed to find that our skin had been airbrushed. The photos were beautifully composed, and the lighting was just right. Our smiles were natural and our poses unaffected. The photographer had done an amazing job. I just didn’t want my husband’s or my face airbrushed. We looked fake. So I contacted the photographer and asked her to send us photos without the airbrushing. I’m glad I did, because I love them so much more. As it turns out, I’m not the only person whose wedding photographs have been “touched up”. Many photographers are known to include this as part of their standard services, some without asking permission from their clients first. But many brides today are deliberately requesting extensive retouching services from their photographers, including body slimming, teeth whitening and even the removal of creases from clothing. 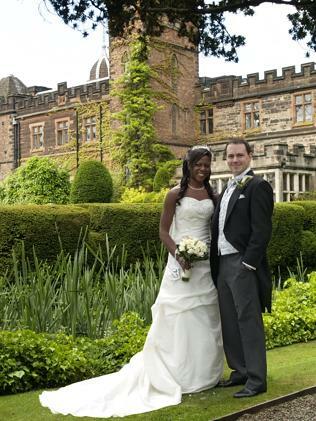 Wedding photographer Sue Taylor has been in the industry for over 10 years and provides services to couples that includes a Photo Slimming Package. 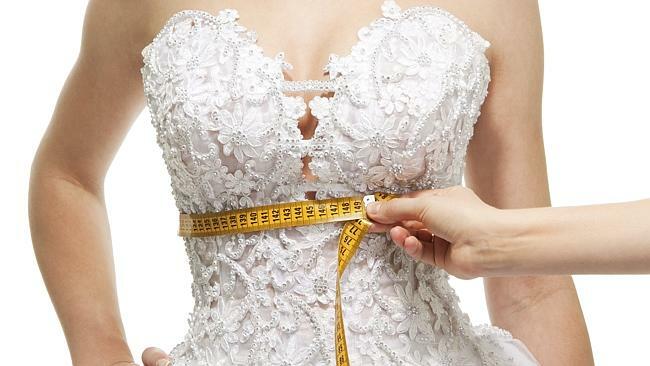 The package lets couples choose “10 images from your wedding photos and we will remove back fat, double chin, slim arms and face on the bride and send them to you in both colour and black and white,” her website reads. It’s a trend that is not only providing photographers with more business, but has seen a boom for professional digital photo editors, like Chris Ganser from In Touch Photo Retouching. Mr Ganser said that the most frequent request from wedding photography clients are requests for cosmetic surgery retouching. “Gone are the days of getting into shape for the big day,” Mr Ganser observed. “The instructions usually ask for removal of wrinkles and blemishes, tummy tucks, facial reshaping (less fatty cheeks etc), loads of work done on the neck area, fat removed from arms, thighs, calves buttocks … The list goes on. “Some of my work has been very drastic, there are times when I do not recognise the person after I have finished the retouch,” Mr Ganser said. Mr Ganser said he often gets requests to remove or add people to photographs. In the case below, the couple simple didn’t like their pose in one location, and preferred another pose in the same location. But it seems that many photographers disagree on the extent to which photos should be retouched and whether or not this should be done with the client’s permission. It is a given that all good photographers use programs like Photoshop and Lightroom to subtly edit their raw images, typically to change shadows and light, to warm or cool tones and to crop unwanted distractions from backgrounds. Alison Brown is the Creative Director of Photography and Design from White Lane Studio and has some strong opinions on retouching her client’s photographs. “We would never remove anything that was a part of a person’s character,” Ms Brown told news.com.au. “If however, a bride or groom discovered a pimple appeared on their face on their wedding day, we could easily blend it in to their skin tone. We would always ask if this is what they would like us to do before we did any photoshopping. Ms Brown said she and her colleague Sam Vincent prefer a very natural, real, photojournalistic approach, rather than too many cheesy poses. “Photoshopping just tends to look too fake,” she said. 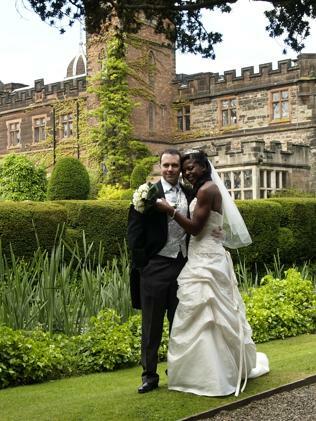 The photograph below is one taken by White Lane Studio at a recent wedding. Coincidentally photographer Sue Taylor was also shooting the same wedding as part of a competition prize the couple had received. 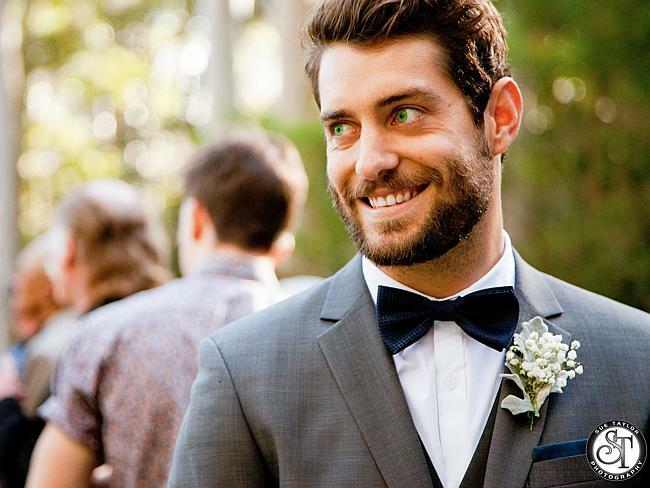 One of the most obvious differences is that the colour of the groom’s eyes has been changed. 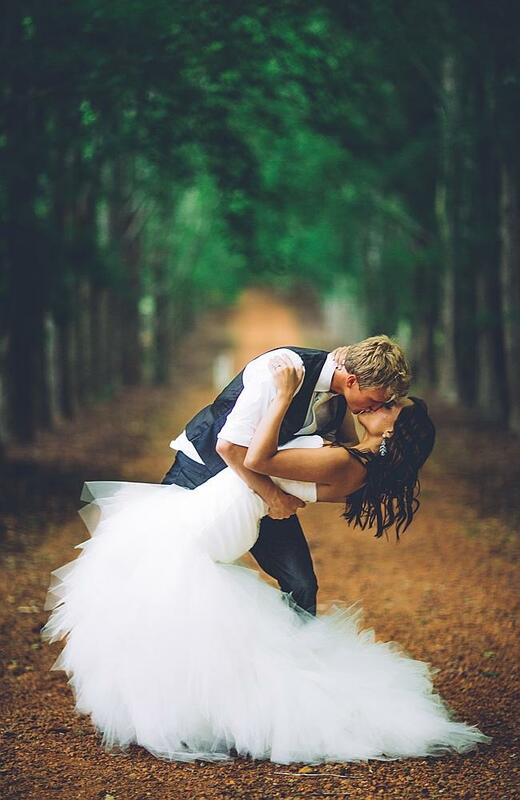 So what is the perfect balance when it comes to photoshopping wedding snaps? 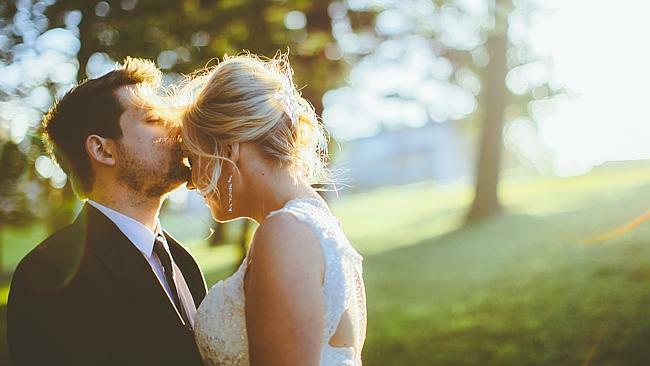 We asked some news.com.au readers to share why they had their wedding photos retouched. Gabby— The week before my wedding, a very large and infected cyst developed on the side of my chin. The day before my wedding, I had to get it cut out. 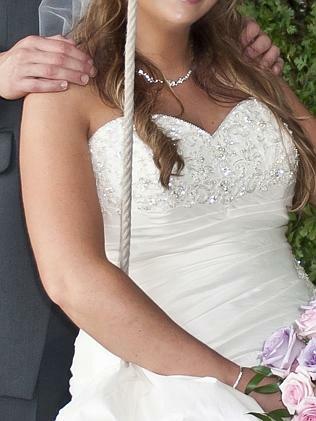 I had a noticeable healing scar the day of the wedding, but the photographer photoshopped the scar so it wasn’t standing out as much as it did. I wouldn’t want actual physical features photoshopped though. Samantha— I had unexpected surgery the day before my wedding and was bloated at my wedding … thankfully my dress fit but as far as we are concerned we can look back on the day and know the love, respect and strength we had to get through the biggest day of our lives. Nikita— I have a heart surgery scar and I got my photographer to photoshop what the makeup didn’t hide. Some people say wear it with pride but my experience wasn’t the most triumphant. So I’d rather not for now. Oh and I also got her to cut my head off in a close up of my butterfly release and a triple chin showing. They’re supposed to be your perfect photos. Each to their own what makes them feel beautiful. 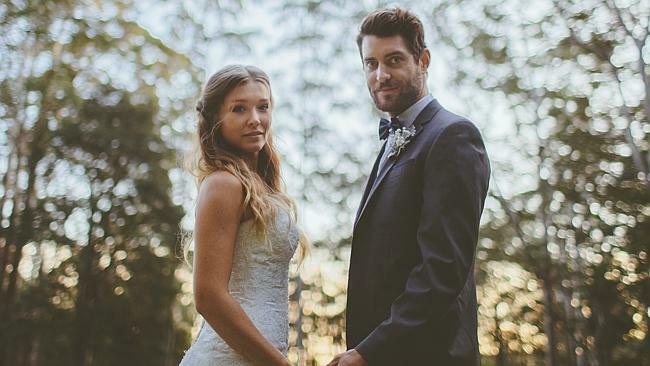 It seems that for every bride who wants their images slimmed or drastically altered, there is another one who prefers a more natural approach. 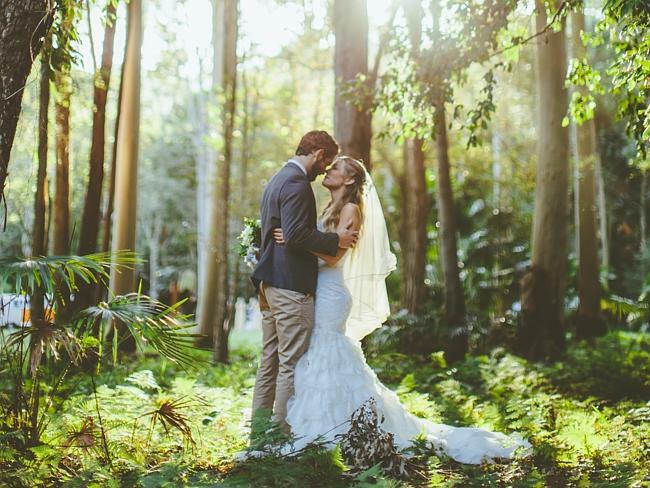 Luckily, in the ever-booming wedding industry there are photographers to suit every style.